On Wednesday afternoon I drove Danielle, (you guys remember Danielle, right?) to the airport after she spent two weeks on our farm with us. She shared her thoughts about her time with us in this guest post. My name is Danielle Lindquist and I am not your typical veterinary student. Much of my initial interest in animals involved dogs and kittens and working in a small animal practice. I grew up in the suburbs of North Carolina and currently attending NC State University in downtown Raleigh, NC for two doctorate degrees in both veterinary medicine and pharmacology. 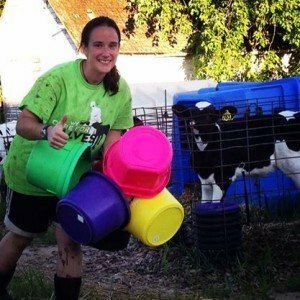 Growing up, I had never heard of FFA or 4H and if you asked my family, they would never believe that I would end up working towards a career in agriculture, let alone complete several internships in bovine medicine and husbandry all around the United States. Early this summer, I worked at an all dairy focused practice in Attica, NY. Following that, I found myself in Middle Tennessee, working at a large animal practice. Although clinical training is highly important to future clinicians and one I enjoy learning in, I wanted to take a little different path in my educational endeavors. 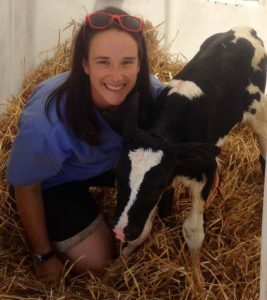 The more dairy herds I met with on my previous experiences, I noticed a common theme: Veterinarians in today’s dairy herds are seldom actively involved in detecting and treating sick animals on a daily basis. What they don’t teach us in veterinary school is that veterinarians must function as motivators and educators of herdsman. 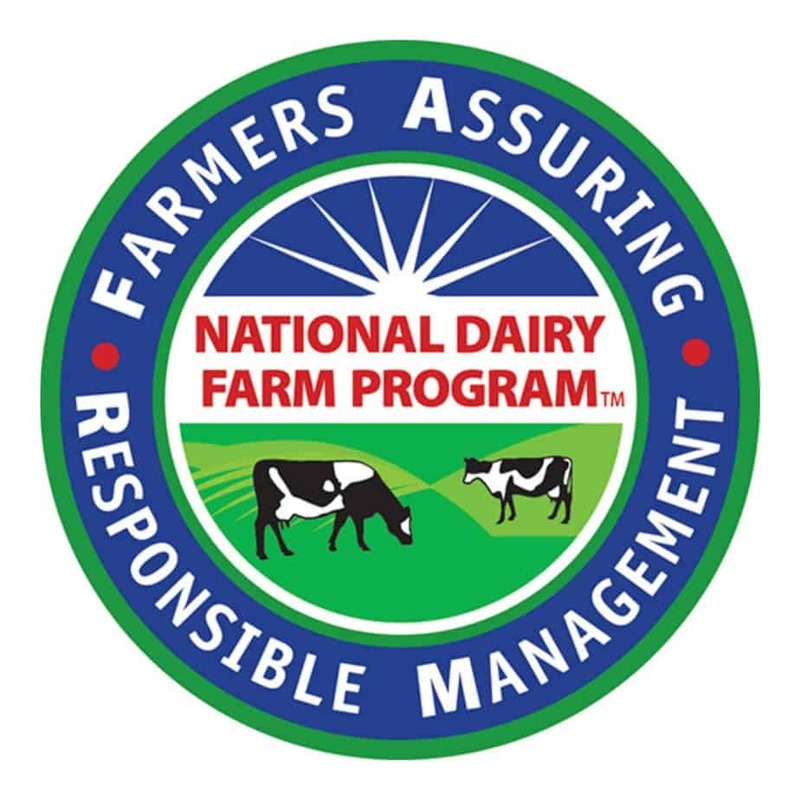 When all factors of the comprehensive dairy herd health program are considered, the most important fact is people. 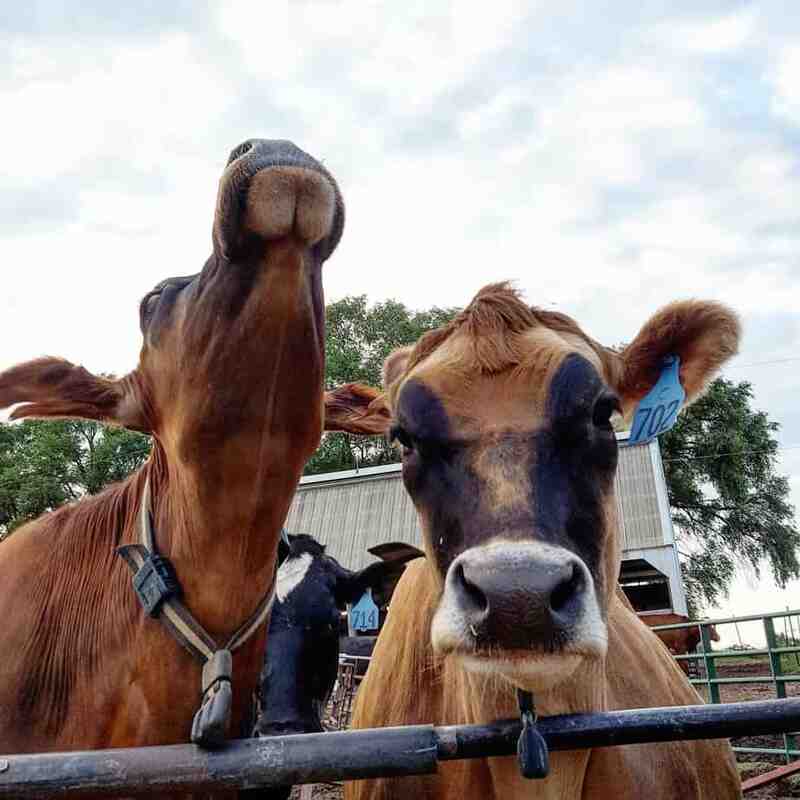 So to meet my ever growing fascination in dairy herd management and health, I am writing this post from Wisconsin, on a dairy farm owned by Clem, Cathy, Patrick and Carrie Mess. This 100+ cow dairy has been in operation over 25 years, with some of the highest producing cows in the county. I took this opportunity not to just apply my medical training, but to work side by side with real farmers, who have the same passion that drew me into becoming a dairy focused veterinary student. From day one, I milked cows, treated retained placentas, watched for heats, fed calves, treated calves, assisted with difficult births, climbed silos, fed the heifers, chased the heifers, got exhausted chasing said heifers, among many other typical daily activities on a dairy. Each day for me began at 5:30 am, waking up to get the parlor ready for the cows. From sanitizing the lines to setting up the stalls twice a day, 12 hour work days do not exist here. Family, loyalty, passion and dedication are necessities to survive in this field, and it was these attributes that made my stay an unmatched experience. 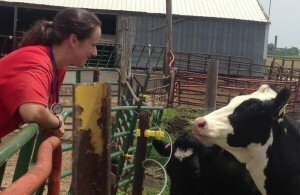 My time in Wisconsin working on a dairy farm will not be remembered for the cows I worked with or the protocols I followed. It will be about the people who make the future of agriculture possible. We go to veterinary school not to become excellent vet students, but to become excellent doctors, in order to do this, future veterinarians need lessons from both our future clients and veterinary mentors. I am quite thankful for the opportunity to work these past two weeks every day, 16+ hours a day with these dedicated farmers. 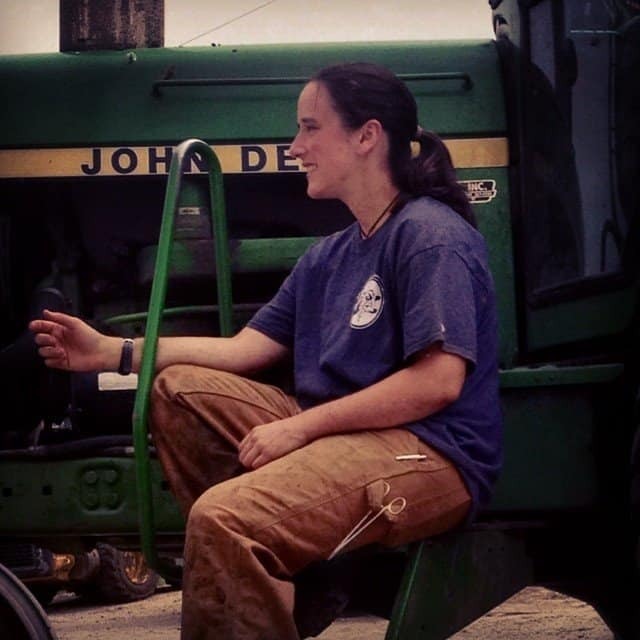 Even as “the city kid” with no experience in agriculture, it is right here in Wisconsin that I discovered there are still places in America where you are measured not by what you have, or where you come from, but by what kind of person you are. 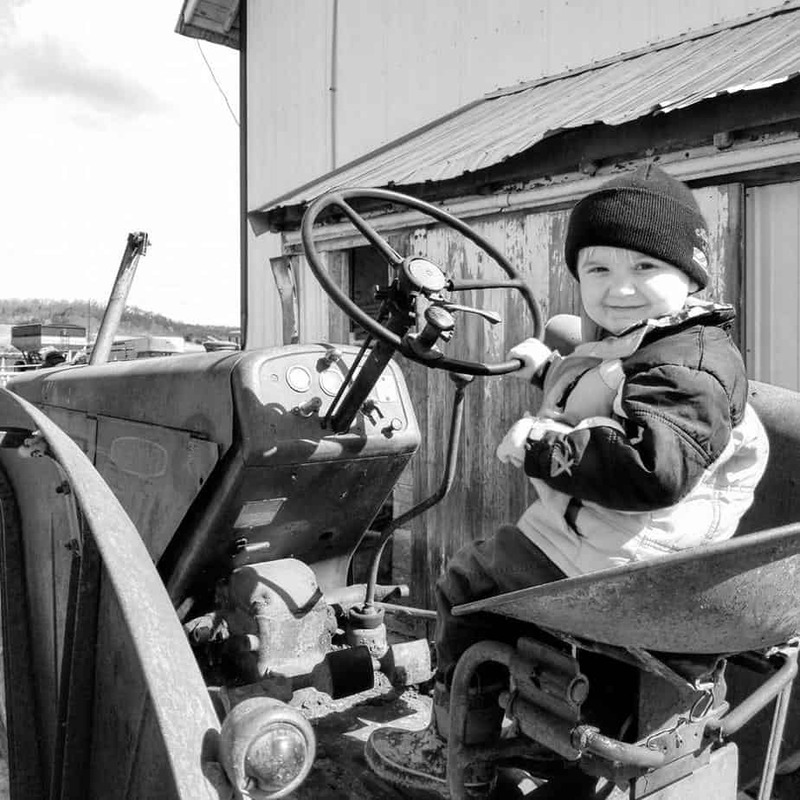 By the end of my education, if I possess even half the attributes that make this farming community and the Mess family great, I think I just may have a shot in this profession. This farm is where the wisdom of the past meets the innovation of the future, and I wholeheartedly believe in the future of agriculture, one new born calf at a time. Fewer Dairy Farms in the U.S.
« Just the (dairy) facts. 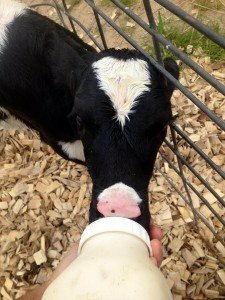 29 facts about dairy! 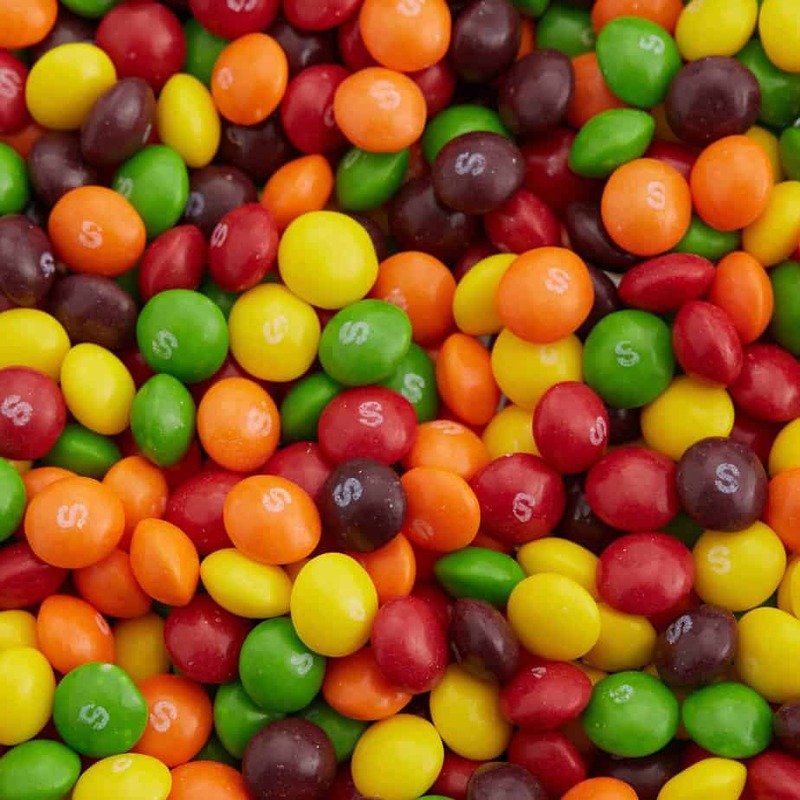 Wow, that’s a great blog post! Big thanks to Danielle for sharing! It sounds like you got treated like family. I hope you really enjoyed your time on the farm and have a successful veterinarian career. Best of luck in your veterinary career, from your pictures at the farm it looks like you are really enjoying it. I loved your post. The whole time I read this I could not help but to think of myself. I am an undergrad student studying Animal Science. When I entered freshman year I had the intention of going to vet school to study dogs and cats because, well, thats the only thing I was exposed to living in the suburbs. This past summer I spent working on a dairy farm; suddenly, everything has changed.